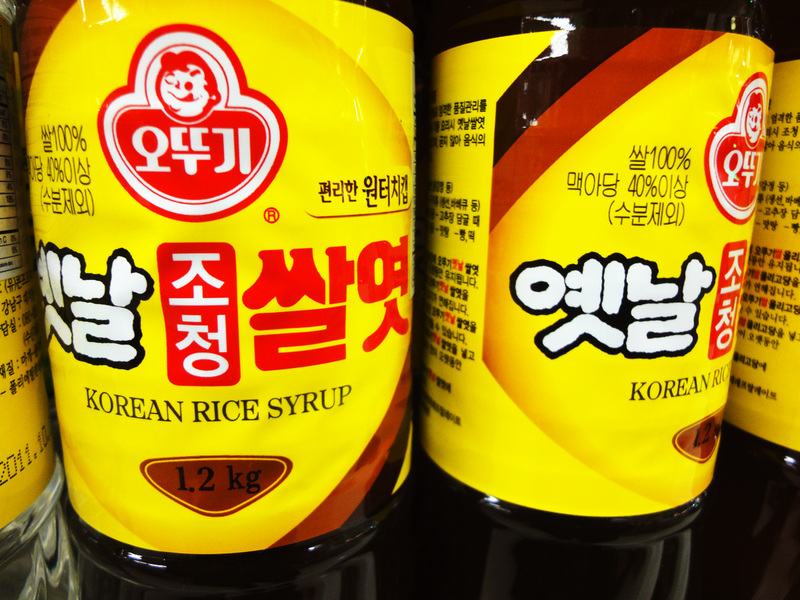 Rice syrup (Ssalyeot) is used in Korean cuisine as a sweetener and to add shine to the dish, much like mulyeot. 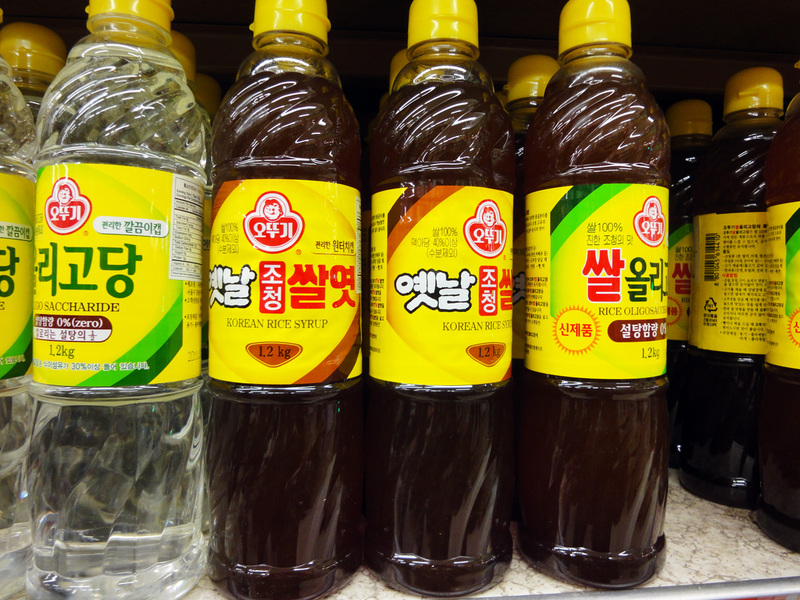 In fact, most Koreans simply call it “mulyeot” when they really mean ssalyeot. The main difference between the two is that ssalyeot is a nice brown color, unlike mulyeot, which is clear. Posted on Wednesday, April 21st, 2010 at 5:34 pm. Last updated on May 2, 2017. Posted February 14th, 2019 at 11:23 am | Log in to reply. 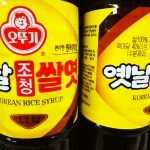 Can i substitute rice syrup with honey????? 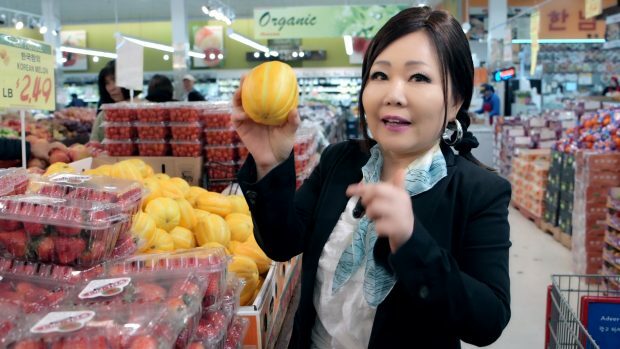 Korean supermarket quite far from my place where i live right now…. Posted February 18th, 2018 at 8:12 pm | Log in to reply. Hello Maangchi, I bought the rice oligo syrup instead of the rice malt one, is it the same? Posted July 3rd, 2016 at 10:34 pm | Log in to reply. Posted July 7th, 2016 at 9:15 am | Log in to reply. To make crispy and crunchy fried chicken you can replace the rice syrup with sugar or honey. Good luck! Posted April 28th, 2015 at 3:32 am | Log in to reply. hai Maangchi,..i want to make hot pepper paste and is it ok if im using maple syrup beside rice syrup?..because ican’t find it here in malaysia..
Posted April 28th, 2015 at 4:31 am | Log in to reply. Posted July 23rd, 2012 at 4:19 pm | Log in to reply. In the bottom picture there’s something called Rice Oligosaccharide. I got this by accident. Can I use it in this recipe? What is it, do you know? Also, I bought regular rice flour instead of sweet rice flour (that’s what I get for not bringing the recipe with me to the store)… Will that work? Thx so much for this recipe… It looks delicious! Posted February 3rd, 2012 at 7:01 pm | Log in to reply. Posted February 5th, 2012 at 9:51 am | Log in to reply. You can use any type of syrup. Haw about Karo or corn syrup?